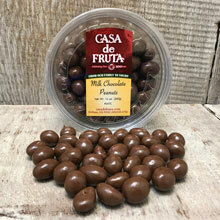 A great snack for anytime of the day...peanuts covered in rich milk chocolate. Packaged in a 12 oz. bag.